We offer a wide range of cost-effective exhibition systems combining minimum installation time with maximum flexibility, quality and contemporary design. Our systems are designed for best performance in every detail. 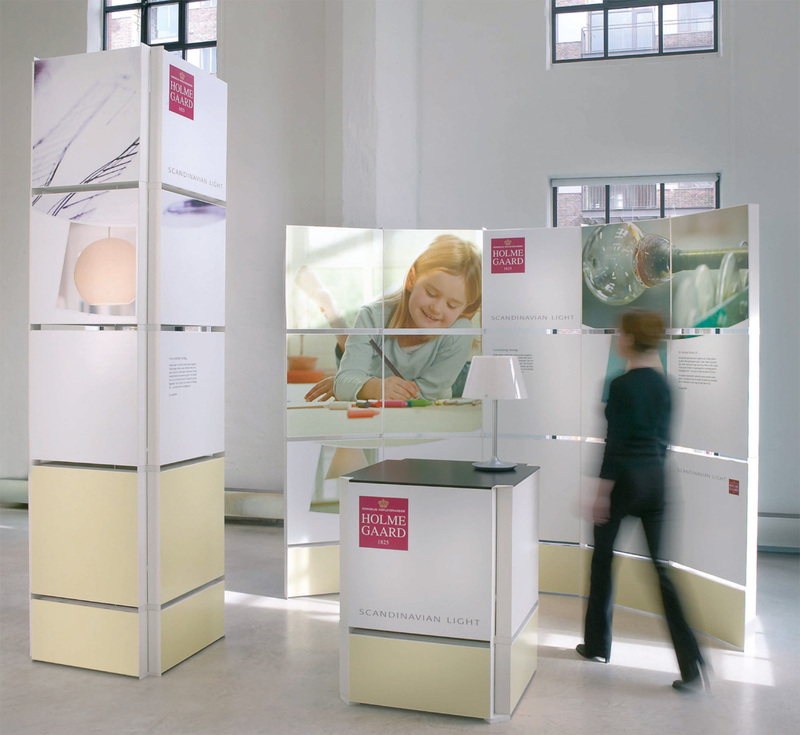 The conceptual design offers solutions for any kind of exhibition – large or small – and makes the systems easy to use. Prisma Banner Display is a popular and well tested system focused on high quality design and simplicity. Prisma leaves the spectator with an exclusive and contemporary impression. The display takes very little space and comes in 2 different heights. Fastframer is basically an aluminum frame with an easily replaceable fabric banner. The frame is made to measure, with feet, wheels or prepared for wall mounting, adapting to your specific requirements. The banner is easy to mount – it comes with a rubber edge and you simply press the edge into the frame. As a standard Fastframer comes in anodized aluminum but you may choose to have it painted in any color to match your visual identity. 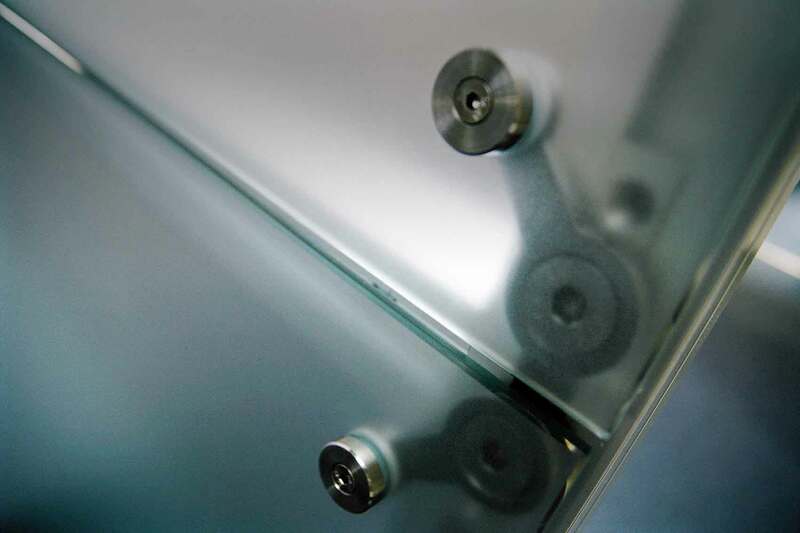 Fastgrip is a flexible and scalable modular system of aluminum frames which lock together with our Fastgrip lock system. The system is customized to meet your specific demands and it’s assembled and dismantled without use of tools. Fastgrip is designed to meet the highest standards for aesthetics, functionality, and easy assembly. The Alusign system combines strength, stability, and simple assembly to fulfill the demands for a professional exhibition system. The system is simple to use, based on few components and assembled using only an Allen key. Alusign system solutions are made to measure to meet your specific requirements. The tiles can be assembled for entire display walls and larger exhibition stands. The Box Display consists of very easily assembled cardboard tiles. This gives you a very userfriendly, economical and lightweight system for small or larger displays. Even the fittings for assembling the tiles are cardboard and allow for any combinations you might want, giving you full flexibility without use of any tools at all. The tiles come in two different sizes and and options include lamps and a podium. Expand is a world leader in production of portable displays and exhibition systems. All Expand systems, from roll-ups to complete exhibition walls and counters, are high quality and they are easily handled by yourself for smaller events and exhibition stands. We have been reselling Expand systems for years and we can guide you through choice of systems, handling and assembly and we supply the prints for all types of systems. Read more about portable solutions and how to use them to create visibility.